Time to sit down and make some pretty graphs showing temporal and spatial environmental changes. I have been given data for several weather stations and am tackling summarising solar radiation, air, soil and stream temperature data. Making clear, precise, well displayed graphs is rewarding even if the process can be long at times. It will be exciting to see the data we have been collecting all summer be brought together an aid conservation projects. For example, the solar radiation may show a correlation with the stream temperature. This would mean it is in our power to manage the forest and control the stream temperature by creating more shading by the streams. Ultimately, this could protect native fish species. Luckily, Sukhin and I sit next to each other. I would say this helps to keep us sane but I think it just magnifies the crazy. At least we go for regular walking around the block breaks. Another break we had today was a potluck lunch. I gave a presentation on what the hydro crew have done this summer in the field. It went well, I got a few laughs, especially at our cringe worthy axing the tree picture and our selfie poses. It was nice to hear about what the other crews had got up to as well. This morning I woke up early to bike into the office. What I was unaware of was that the temperature would be so cold. 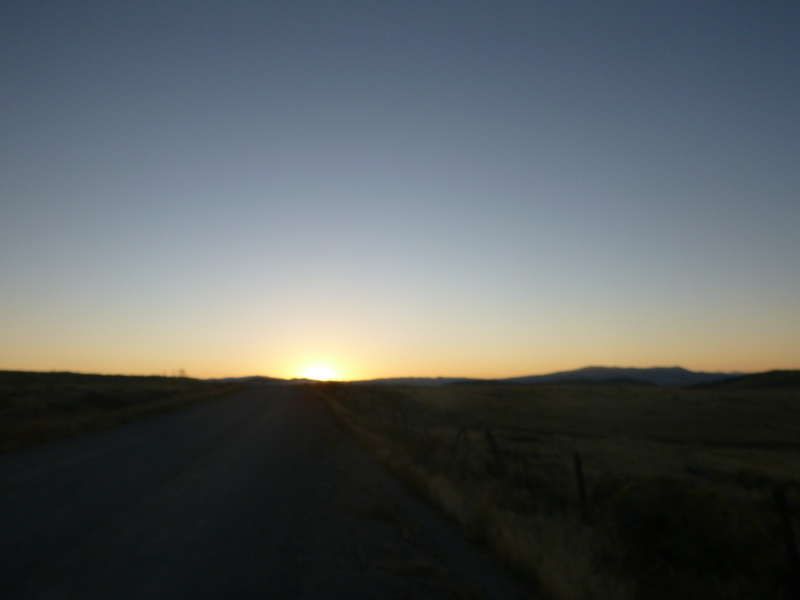 There is an extremely low humidity in Montana which magnifies the sharp, cold temperatures in the morning before the sun rises fully. It was around zero degrees. I froze but I can not complain too much, the ride was as beautiful as ever, with the mountain backdrop and the full moon still out. 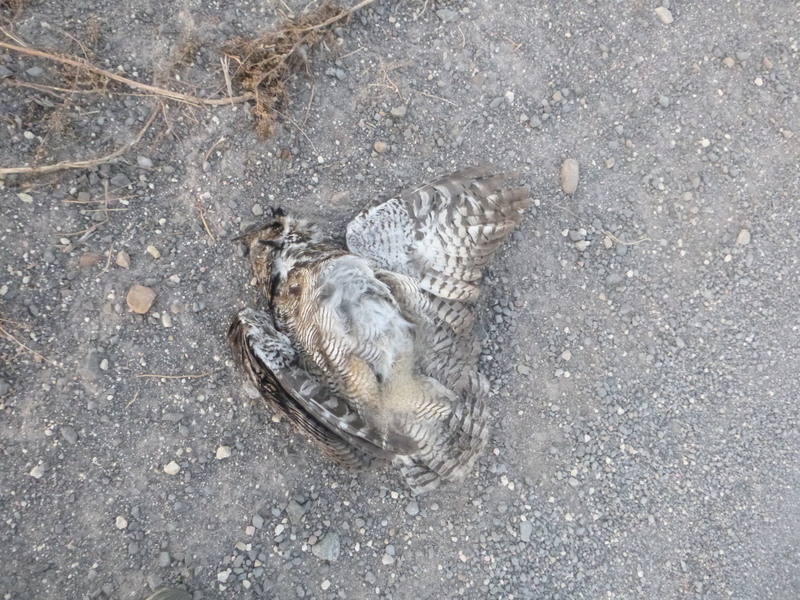 I came across a dead owl, which was rather mysterious. It had not been eaten so maybe it was hit by a car. Such a shame to see such a beautiful wild creature sprawled out on the road. As always the typically American yellow school bus passed me, followed by two pick up trucks. 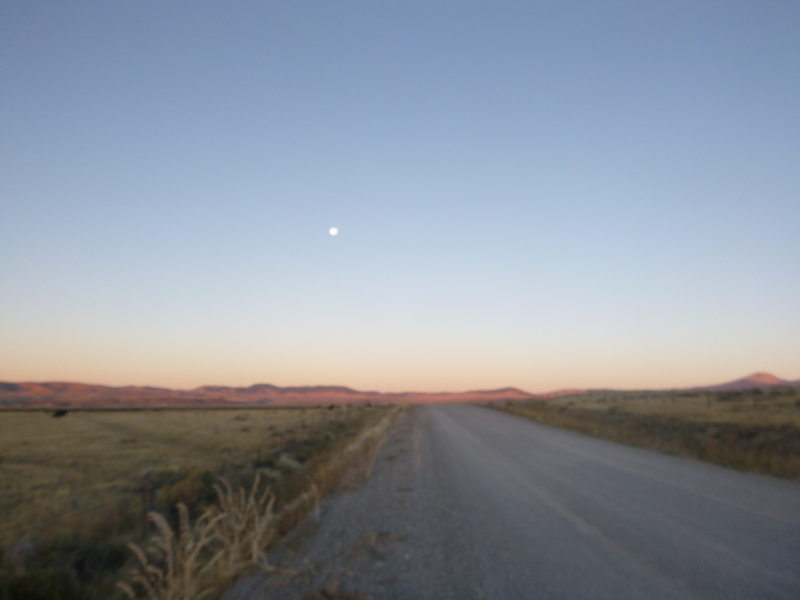 Other than this, the road was all mine – very tranquil. Riding here is such a contrast to back home in the city – where every time you breath in you are greeted with a lungful of pollution. Not to mention the taxis buses and other drivers who pass by you within an inch of your life. Here on the rare occasion I see another vehicle they will over take me with what eels like too much room. Just over an hour later I arrived at the office, ready for my oatmeal breakfast and some office warmth.